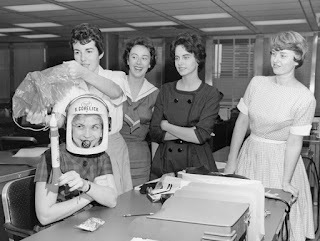 Kate Raphael speaks with Gene Nora Stumbough Jessen, one of the Mercury 13, women who were tested for the Mercury space program but prevented from becoming astronauts by gender bias. The Mercury 13 are the subject of a new film by David Sington and Heather Walsh, who also joins us for this conversation. The film screens Tuesday as part of SFFILM. About 5% of pilots are women. Find out more about women pilots from their organization The Ninety-Nines. The film airs Tuesday, April 10 at 4 PM at the Roxie.